Victoria, pictured, arrives at Sharp Family Law after more than 11 years in the Bath office of regional firm Thrings, having joined as a trainee and rising to become an associate. 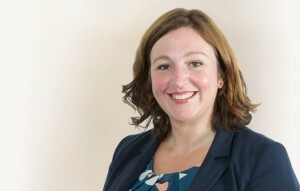 Before that she spent 10 months as a paralegal with Birmingham family law firm Benussi & Co.
Sharp Family Law said Victoria is known in the Bath area for giving sound and practical legal advice in divorce or separation cases, with “a particular passion for helping clients find creative solutions to achieve an early resolution whenever possible – in or out of the courtroom”. Sharp Family Law is a specialist team of family and divorce solicitors, mediators and collaborative divorce lawyers. The firm, which also has an office in Bristol, was founded in 2008 by Richard Sharp, who has over 35 years’ experience in family law and divorce court litigation. It now employs six family and divorce solicitors, including three partners and describes itself as is the largest niche firm of family solicitors in Bath and Bristol. Four of its solicitors are trained collaborative practitioners and one is qualified as a family mediator. All are members of Resolution, the leading association of family law solicitors which promotes a constructive approach to family disputes.